NHS teams in Sussex are preparing for a ‘difficult’ winter season, councillors were told this week. At a meeting of the East Sussex Health Overview and Scrutiny Committee on Thursday (November 29), councillors heard details of NHS plans to address an increased demand on services this winter. Councillors were told health authorities had learnt from pressures on the system last winter and had been working together on plans in a number of areas, including: flu vaccinations; transfers of care; and public awareness. The plans were presented by Mark Angus, a senior NHS officer responsible for coordinating winter planning across Clinical Commissioning Groups (CCGs) in Sussex and East Surrey. Mr Angus said: “We know that winter will be difficult again this year. We’ve taken the lessons learnt and we’ve got really clear capacity and demand plans in place. “I think they are improved from last year. I think we have been able to strengthen our planning this year. I think it is better coordinated as well, but it will be difficult. Mr Angus told councillors about a range of planning work undertaken since last winter, highlighting work to reduce pressure on hospital A&E departments. This included work to improve capacity throughout the system and reduce the number of delays in transferring hospital patients to more appropriate care. He also spoke about the importance of raising public awareness of the pressure on health services at this time of year. He highlighted a planned communications campaign – to be run both nationally and locally – designed to: encourage people to use A&E responsibly, promote self care and highlight other NHS services that may better meet the needs of patients. This campaign would also encourage to use the NHS 111 helpline as a first port of call. Rother District councillor Mary Barnes, however, expressed some concerns over this approach. She said: “Are you completely confident that the staffing is going to be up to the mark this winter? In response, Mr Angus acknowledged there had been pressures on the 111 service last winter but said there had been work to strengthen the service during the course of the year. He added that the service now has a ‘better-defined career structure’ , which had improved staff retention. Mr Angus was also asked about the health service’s flu vaccination programme, by county councillor Sarah Osborne. Mr Angus said the flu vaccination programme was progressing well, both among clinical staff in the key health trusts and in patients over the age of 65. He reiterated that the NHS aims to have 75 per cent of its clinical staff vaccinated. Cllr Osborne also asked about the service’s cold weather planning. She said: “I would be very interested to hear from you on what communications you are doing about cold. One of the biggest things in the winter is it gets cold and we still have a shockingly high number of people who die from the cold. 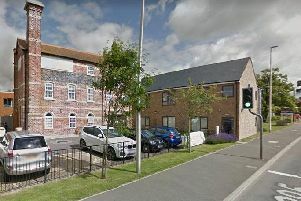 In response, Andy Cunningham, of East Sussex County Council’s Adult Social Care team, said: “We work with a number of home care providers, particularly with two or three big companies. “We work with them and our meals provider, to alert us to people who haven’t got heating on because they want to save money and things like that. Mr Cunningham added how extra funding had been provided to the independent sector to help elderly patients make their homes warm and secure after a hospital discharge.